Nissan last redesigned the Altima in 2013. And as competitors were either redesigned or given extensive revamps, the Altima received its own refresh in 2016, in an effort to address some of the tuning complaints on the earlier models and to bring the looks more in-line with that of newer Nissans, like the Altima and Murano. For 2018, Nissan has mostly left the Altima alone. Even with the refresh, the Altima’s styling can hardly be called fun. The steeply-slanted grille, L-shaped headlamp signatures and strong shoulder-line crease do add some aggression, but it otherwise looks like any other mid-sized sedan on the market. That said, it’s still a handsome car that looks current and has aged well. And that pretty much represents the Altima’s middle-of-the-road approach. It doesn’t have the handling of the Fusion and Accord or the sleek looks of the Malibu, but it’s a competent package full of thoughtful touches. The seats feature Nissan’s so-called Zero Gravity technology and are inspired by the weightlessness of space. Plus there’s a handy feature called Easy-Fill Tire Alert, which honks the horn as you’re filling each tire to let you know that it’s at the correct level. 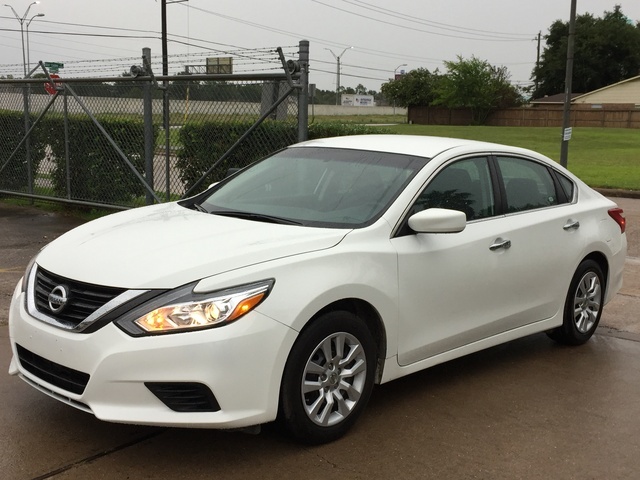 There are two engine choices with the Altima, the first of which a 2.5-liter inline four-cylinder making a healthy 179 horsepower and 180 lb-ft of torque. Buyers can, alternatively, select a 3.5-liter V6 that bumps things up to 270 horsepower and 251 lb-ft of torque. Both engines route power to the front wheels via a continuously-variable automatic transmission (CVT), and can be had with paddle-shifters to allow drivers to shift at pre-set points. Fuel economy is superb across the range, at 27 city / 38 highway / 31 combined MPG for the 2.5-liter, and 22 / 32 / 26 MPG for the 3.5-liter. Nissan splits the Altima into five basic trims. Each gets unique wheel options and a progressively-nicer option list. 2.5 S comes standard with a 5” color infotainment setup, Bluetooth, keyless access and start and Siri EyesFree. 2.5 SR adds 18” aluminum alloy wheels, a sport-tuned suspension, paddle-shifters, fog lamps and a spoiler. SR Special Edition gets unique 18” alloy wheels, leatherette, navigation and Apple CarPlay and Android Auto connectivity. On the upper end, 2.5 SV brings 17” alloy wheels, remote engine start tied to the climate control, blind-spot monitoring and rear cross-traffic alert. To this, 2.5 SL adds leather upholstery, Bose premium audio, an auto-dimming rearview mirror and vents for the rear passengers. Lastly, the range-topping 3.5 SL bundles the aforementioned 2.5 SL features with the V6 engine, plus paddle-shifters, 18” aluminum alloy wheels and front and rear parking sensors. The Altima’s interior is a serene, if unexciting, place to be. All of the controls are in their traditional place, and no one should have any trouble operating this car’s functions. The instrument cluster features a large color LCD that displays important information about the vehicle, directions (when equipped with navigation) and cell-phone interactions in a clean, crisp fashion. buttons in the center stack are grouped logically according to function. The simulated wood veneers in upper trims will fool no one, but do look pleasant. There’s a standard 5” color infotainment display and a USB port. Upgrades include a powered driver seat, remote start, Apple CarPlay and Android Auto, leather upholstery, an auto-dimming rearview mirror and Bose premium audio. Back-seat occupants are treated to a commodious expanse of rear-seat room, at or close to best-in-class. On the safety front, the Altima comes standard with the full suite of airbags, including front and side-mounted airbags for the driver and passenger, and side-curtain airbags for all outboard positions. Forward collision warning and automatic emergency braking are standard. The Insurance Institute for Highway Safety (IIHS) last tested the Altima in 2017, and bestowed the model with its Top Safety Pick + award. 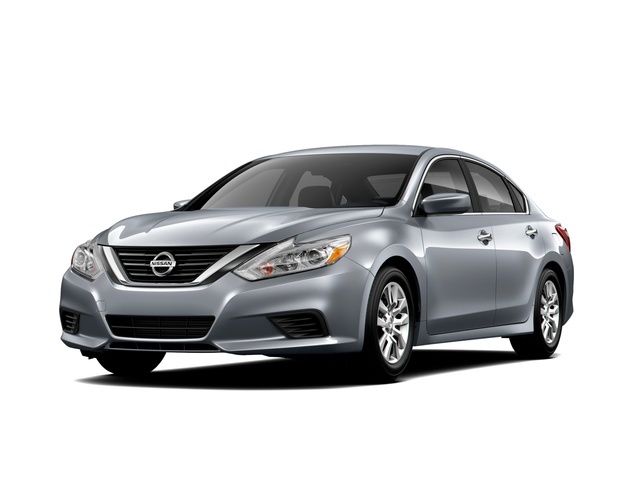 Even into its sixth model year on the market, the Nissan Altima continues to offer an attractive mix of economy, features and safety. For those looking for a bit more styling excitement or advanced tech features like adaptive cruise control and automatic parallel parking, those features may potentially be in the next model, which is due as soon as 2019. What's your take on the 2017 Nissan Altima? TheHorror How to spot a sub-600 FICO rating. Users ranked 2017 Nissan Altima against other cars which they drove/owned. Each ranking was based on 9 categories. Here is the summary of top rankings. Have you driven a 2017 Nissan Altima? Please i have problem. Red light of airbag it is on with out flashin (stable ) and i donnot now how solution this problem?